Knowledge is power! Take action against dental amalgam mercury by learning about it. The IAOMT cannot stress how important it is to know the facts about dental mercury if you want to free yourself from it and/or to help end it at large. Having a detailed understanding of the issue will equip you with the information you will need to end dental mercury in your own life, in the lives of your family, in your community, and the world. We have a number of resources for you to explore on your journey to take action against dental mercury, and we truly hope you will take the time to read them so that you have the background you need to make a difference. Know the facts about dental mercury by using our webpages and fact sheets. 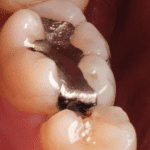 Learn about our Safe Mercury Amalgam Removal Technique (SMART) before you go to the dentist to get your fillings out. Consider using our checklist for patients and dentists if you plan to have your fillings removed. Utilize our materials for patients to understand your rights, including how to talk with your dentist. You can also search for an IAOMT dentist in your area to discuss your specific health concerns. Join forces with others to take action against dental amalgam mercury! Join forces with groups who are committed to stopping the use of dental mercury and utilize the materials they have to offer. Track legislation to take action against dental mercury and all mercury! Use the internet, your local news sources, your dentist, and government announcements to track pending mercury legislation that impacts your area, and sign up to speak at meetings about these laws and regulations. As noted previously, a number of the groups listed above also monitor major decisions being made about dental mercury, and these groups can guide you as to where and when your involvement would be most helpful. For instance, local governments have passed measures related to curbing the use of dental mercury and/or its waste, including notable examples California, Indiana, and Pennsylvania. Consumer demand for such changes has proven to play a major role in these decisions, so your ability to check on and participate in these events is very important.